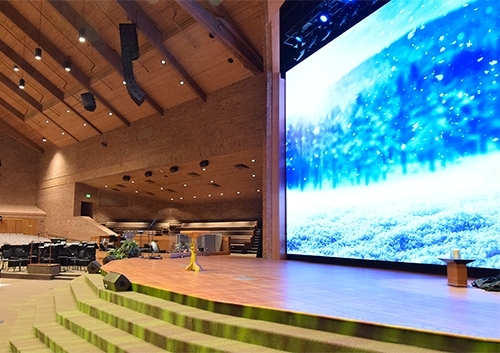 When Calvary Church in Grand Rapids, Michigan remodeled its sanctuary and updated its technical systems, it selected an Analog Way Ascender 16 multi-screen seamless switcher to drive a Vanguard P4 Rhodium LED wall with 4mm pitch. So Ted Watson, Sales Manager at Nashville-based Holloway Sales, which reps Analog Way products, arranged an on-site demo of the Ascender 16 with Analog Way’s Midwest Regional Sales Manager Sean O’Reilly. 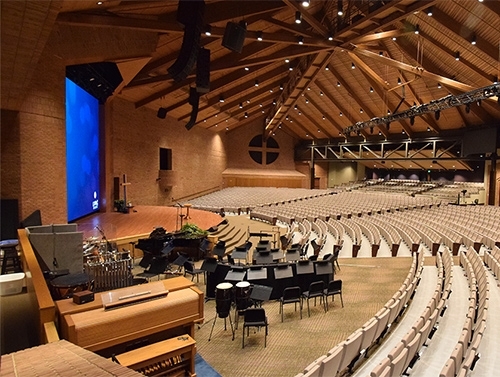 They configured the system and had it up and running in the sanctuary in a few hours. 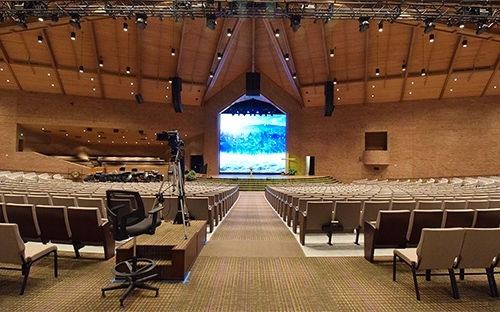 “The Ascender addressed all the problems CSD had been having with the other equipment,” says Watson. “The Ascender immediately proved itself,” reports Peacock.